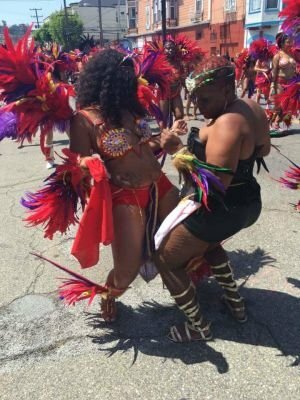 Modern day Carnival with Sistas-Wit-Style And Associate is an explosion of culture, colors, and unity. We try to encompass the spirit of the Caribbean within our all-inclusive Carnival band. We parade in the streets of San Francisco Carnival with two giant music trucks pumping sweet Soca music. Our Award winning contingent includes all ages with minors behind our first music truck and adults behind our second music truck parading down the road 300 masqueraders strong. We feed all our masqueraders breakfast and lunch as well as various refreshments along the parade route. There’s a spirit of love and unity in the air as we palance and free up down the road celebrating all of our work leading up to Carnival in true Caribbean fashion. In the months leading up to the Carnival parade we exercise together and practice traditional folk dances with a modern flair across the floor. We end each dance session learning a rigorous Caribbean dance routine which we showcase in the streets and on various stages in costume during Carnival season. We also open a mas camp in which we make all costumes from scratch from arm and leg pieces to our king and queen costumes which can reach up to 10 ft high! Many of our masqueraders stop by to volunteer with helping to make costumes and complete various administrative tasks. We participate in various events leading up to the Carnival parade i.e. King and Queen Competition, dance performances at the SF Giants stadium, Exploratorium, Nightclub showcases as well as Band launches. Sistas-Wit-Style And Associates also participates in Hollywood Carnival. We travel down to Los Angeles in a bus (some masqueraders meet us down there by plane). For four days we sightsee, party, and parade in the city of Los Angeles before returning back to the Bay Area. There are many ways to participate during Carnival season. 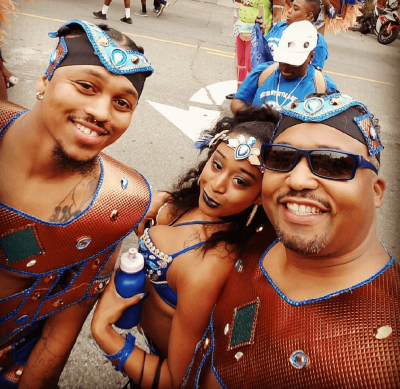 In the end the fact remains that Carnival is truly a time to connect with culture, friends and, family. Sign up to play San Francisco and/or Hollywood Carnival with us today you can view our 2018 costumes below!